As usual, I’m behind the times. I’m just now catching up with ed historian Jack Schneider’s work. Last summer, Prof. Schneider wrote a great essay in the Atlantic about the differences between real public schools and “public schools” in America’s culture-war imagination. It helps me understand why conservative pundits such as Rod Dreher are both right and wrong about the current state of American education. Will the real American school please stand up? So when our favorite pundits warn us about the terrible dangers of America’s public schools, they can be convincing. For some conservative readers, for example, the Benedictophile reporting of American Conservative Rod Dreher can be terrifying. To this non-conservative reporter, the power of Dreher’s story comes from its plausibility. Public schools really do tend to push a certain vision of sexuality and gender that might go against some conservative beliefs. But here’s the kicker: As Prof. Schneider’s essay reminds us, it is only some public schools that might do such things. Leaping from one case—or even several cases—to a sweeping pronouncement about the nature of public education today is unwarranted. And of all people, Dreher himself should be the first to agree. Because in the end, anyone from any side with any axe to grind can put together the same sort of blistering and accurate accusation. Looking at the terrible and heart-breaking record of sexual abuse in private Christian schools, for example—even Dreher’s preferred sort of “Classical” Christian schools—might lead fair-minded observers to conclude that private evangelical-Christian education is foundationally perverted by its penchant for hierarchy, patriarchy, and subjugation. purity culture creates a toxic environment that enables abuse and assault. Predators are enabled by the inherent patriarchy that disbelieves female victims, on the purity culture that treats abuse as a sexual sin rather than a violent crime, and the zealous willingness to believe the abuser’s claims of repentance (to forgive is divine, after all). Is it in the very nature of evangelical Christian schools to enable sexual abuse? The string of examples certainly seem to point in that direction. And we’ll be wise to heed the warnings. However, we’ll also be wise to remember Schneider’s words. Though it might be useful for “rousing the collective conscience,” jumping to conclusions about America’s school systems is fundamentally flawed. There is no single public school system. There is no single, coherent evangelical system. The merits and terrors of each need to be understood as they really are, not as judgments on an entire way of life. I Love You but You’re Going to Hell is pleased to announce a new series of guest posts. 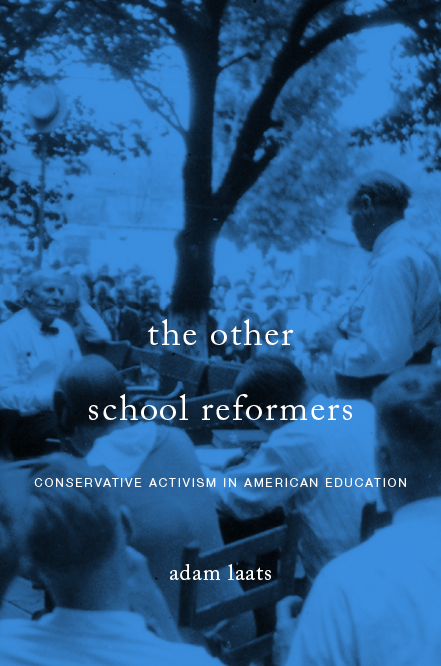 Inspired loosely by the One Thousand Words series at Front Porch Republic, this series asks experts to describe briefly the most important contributions of the most important conservative educational theorists and activists. How did a British detective novelist inspire an evangelical pastor from a small town in Idaho to found one of the fastest growing Christian schooling movements in America decades after her death? Sayers found in medieval education two insights which, if applied in the twentieth century, would offer modern man a way out of the mess in which he had found himself. First, by way of the Trivium (grammar, logic, and rhetoric), medieval education offered a paradigm for stages of learning to think and express oneself. Second, its emphasis on theology gave all knowledge a coherence and unity without which education could only disintegrate into a collection of irrational, disjointed parts. Confessing that her views of child development were “neither orthodox nor enlightened,” Sayers maintained that children go through three basic stages of development. Each of these she associated with a part of the Trivium. In the elementary years, or “Poll-Parrot” stage, children excel at memorizing new facts. This corresponds with the “grammar” stage of the Trivium, which consists of learning the basic facts for each subject. The grammar of language is self-evident, but other subjects have grammar stages as well. In history, for instance, it consists of memorizing names and dates and events. The goal of this stage is therefore to get as many facts into children’s heads, whether they understand their significance or not, while memorization is still relatively easy and even fun. In the “Pert” stage, which corresponds to middle school, children naturally begin mastering the art of talking back and contradicting their elders. This makes them ideally suited for the “logic” or “dialectic” stage, which would include the study of formal logic, as well as the “logic” of various subjects. At this point students take what they have learned in the grammar stage and learn to apply critical thinking skills to those facts. In literature, they debate whether or not a character’s actions were justified; in history, they study the causes and effects of the events they have already learned about. Finally, students of high school age enter the “Poetic” stage, in which they yearn to express themselves and to achieve real independence of life and thought. Because during the grammar stage they have been given something to think about, and during the logic stage they have learned how to think clearly, they are finally ready during their high school years to begin the study of “rhetoric.” The purpose of this stage is to teach students to express their thoughts with clarity and eloquence through writing and speaking. Students by this point in time have also become competent to take up new subjects to study on their own, needing less and less guidance needed from their teachers. I shall add it to the curriculum because theology is the mistress-science without which the whole educational structure will necessarily lack its final synthesis. Those who disagree about this will remain content to leave their pupil’s education still full of loose ends. Theology would provide a coherent worldview which would allow students to understand how each subject fit together. For Sayers, Christianity was never merely a set of ethical principles and religious rituals, but was at its core a way of making sense of the world. “To me, Christian dogma seems to offer the only explanation of the universe that is intellectually satisfactory,” she wrote on one occasion. It was therefore an indispensable part of her educational vision, its neglect being a significant cause of modern education’s impotence. What would it look for these “tools of learning” to be rediscovered and once again put to use? Ironically, Sayers never dreamed it would actually happen. She considered it “in the highest degree improbable that the reforms I propose will ever be carried into effect.” She would therefore be quite surprised to know that today, over 40,000 students in private Christian schools (not to mention countless homeschooled students) are being taught grammar, logic, and rhetoric in the way that she envisioned. They may not know much about her detective novels, but multitudes of conservative Christian educators have been profoundly influenced by Dorothy L. Sayers. David Coomes, Dorothy L. Sayers: A Careless Rage for Life (Oxford: Lion Pub., 1992). Barbara Reynolds, Dorothy L. Sayers: Her Life and Soul (New York: St. Martin’s Press, 1993). Catherine Kenney, The Remarkable Case of Dorothy L. Sayers (Kent, Ohio: Kent State University Press, 1990). To be useful to the public, Christians must reject “public” education. That’s the argument made recently by Stephen Richard Turley in the pages of The Imaginative Conservative. As I’ve noted elsewhere, one of the fundamental questions of Christian-school advocates is whether or not to stay in public education. Dr. Turley makes the case that real Christians must abandon so-called public education. In doing so, Turley writes, Christians do not turn away from the public sphere, but rather embrace it. Today’s public education, Turley argues, is by definition anti-public. Today’s so-called public schools hope to squeeze religious life into the private margins. By doing so, so-called public schools warp the public sphere, allowing only secular notions to flourish, Turley writes. The only answer for Christians, Turley believes, is to remain dedicated to true public witness by embracing private schools. Confused? Read Turley’s entire essay. If Christians are to remain faithful to the biblical gospel, we must once again affirm the public witness of the church, particularly in the field of education. For such an affirmation not only awakens the soul to the True, the Good, and the Beautiful, but in embodying the Truth, it exposes the state-financed educational system which denies Truth as what it is: a lie. We cannot teach our students that Truth is relative and expect our politicians to be honest; we can’t claim that the Good has been replaced by situational ethics and expect Wall Street executives to ground their business decisions in anything other than profit, greed, and expediency; and we cannot relegate Beauty to personal preference and then feign shock when we encounter a urinal as part of an art exhibit. Christians will never expose this lie as long as they support and fund it. Classical Christian education offers nothing less than a parallel public, a revelation of Truth that in its social splendor awakens wonder and awe in teacher and student alike, as together they fellowship in Him who is the divine renewal of all things. Posted in Child Parent State, What is school? We’ve been learning a lot lately at ILYBYGTH about the Classical Christian Education movement. Recently on First Things we read a thoughtful analysis of the state of the movement today. Brian Douglas warns of some growing pains for the movement. He highlights the need for schools in this tradition to keep their eyes focused on the big educational picture. But first, a few words on the background of the movement: The recent Classical Christian Education movement can date its origin to a 1991 book by Douglas Wilson, Recovering the Lost Tools of Learning. Wilson, a Reformed pastor, Christian educator and school founder from Moscow, Idaho, popularized the classical education formula of Christian and crime writer Dorothy Sayers. The Association of Classical & Christian Schools now claims 229 schools. The movement is affiliated with two colleges, New Saint Andrews and New College Franklin. Such a booming educational movement quickly runs into some definitional problems, as Douglas notes in his essay. Douglas warns of “five temptations” for the growing movement: mistaking the trappings of success for true success; focusing on uniforms, discipline, and Latin instead of the broader Christian mission; assuming that success relies on the schools rather than on God; failing to integrate the Bible into a classical curriculum; and assuming that school will be the most decisive influence on every student. For those of us outside the movement, the most intriguing parts of Douglas’ essay concern the growing middle ground between “progressive” and “traditional” education. As we have noted here before, some leading “progressive” educational thinkers have long advocated a more traditional, authoritarian classroom style. Similarly, conservative Christian educators affiliated with Walter Fremont’s School of Education at Bob Jones University have long argued for a more “progressive” pedagogy. Douglas articulates a vision for this energetic new educational movement that seems to combine the “progressive” emphasis on child-centered education with the “traditional” emphasis on evangelical Christian theology, student discipline, and a Trivium-based, great-books curriculum. Indeed, if words such as “Christian” and “Bible” were replaced, Douglas’ nostrums could certainly find a home in many ferociously “progressive” education schools. Douglas’ essay, and the development of the Classical Christian movement as a whole, suggest a broad middle ground in education. Make no mistake: Douglas is ferociously Christian. He does not suggest any watering down of the uniquely Biblical elements of good education. However, when advocates of Christian education can agree with advocates of “progressive,” “multicultural” education about the most important factors of good schooling, it seems we might have some room with which to work. Posted in Bible and Prayer in the Classroom, Higher (Power) Education, Tradition in the Classroom, What is school?